What are 10 things that you should definitely do before turning 30? 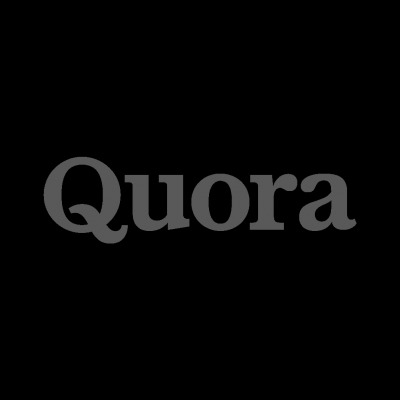 originally appeared on Quora - the place to gain and share knowledge, empowering people to learn from others and better understand the world. Get Your Heart Broken. It is not the most pleasant experience in life. Unfortunately, it is inevitable. However, it is the invaluable lesson everyone should go through. Get your heart broken to learn the hard way how cruel and tough the life can be. Realize That Life Has Already Begun. The sooner you do this the sooner you will be able to start doing the things that matter. Every decision matters and every choice counts. There is no interlude. Nor is there a trial version. Therefore, strive to live a meaningful life now. Write An Article. Develop a strong point of view regarding the particular issue and do your best to express your thoughts in the best way possible. Get your voice featured on the popular outlet and praise yourself for this small accomplishment. Master A Valuable Skill. Your ability to apply your knowledge and produce some great results is what lets you stand out and makes others pay you for your services. Opt for mastery and strive to become the best at what you do. Slay Your Fears. Stop living your fears as soon as possible. Do not enter the fourth decade of your life being afraid of trivial things. Learn to live beyond your comfort zone and slay your fears to live the life to the fullest. Establish A Few Useful Connections. You cannot know everyone and know how to do everything. The good thing is that you do not need to. Meanwhile, you can meet some great people that can give a valuable advice or come in your hour of need. Live Abroad For At Least A Year. Living abroad is not always fun and easy. This experience is often full of struggle and difficulties. Learn how to adapt to and survive in unfamiliar environments. Find out how to meet new friends and get used to a different culture. Establish A Good Habit Attitude. Then you won`t need to break a bad one. Habits might seem innocuous daily actions that do not make any impact on your life. In fact, they define how productive and successful you are. Adopt the habits that are the perfect fit for a person you`d like to be. Define Your Goals. Make sure you are not going to float along after you are 30. Make sure you get closer to the things you want to accomplish with every step you take. Make sure you know what you want and channel your energy towards attaining your goals. Get Into Challenging Environment. If you are not willing to start stagnating too soon, surround yourself with the people that are smarter, stronger and faster than you. They will motivate you to catch up and become better than you ever thought possible. Life and Living: What can you teach me that can be useful in my life? Activities: What are some five minutes activities which would be beneficial for me?